Fumi and Kazi are lawyers who have set up their own law firm in Osaka, Japan. 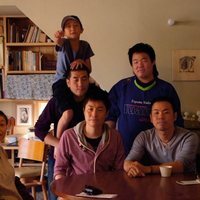 They are also an openly gay couple in the conservative society of Japan, who are driven by their experiences as outsiders in the country. Their clients are often people who also feel like misfits, such as LGBT clients, outsiders, and minorities, in the rigid society of Japan, and together they challenge the status quo which causes them to feel inferior in cultural hierarchy. The documentary questions the importance of civil liberties, family, and the status of being a minority. The pair are two passionate activists who seek to bring a what justice they can to the communities under attack from the rigid conservatism of Japan. Write your own 'Of Love and Law' review.